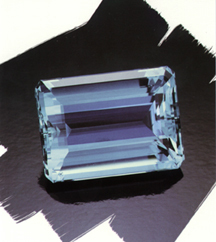 With proper care, your Aquamarine will be enjoyed from generation to generation. Protect it from scratches and sharp blows and remove Aquamarine before engaging in activities such as housework, gardening and sports. While today we are not limited by tradition, the symbolism of Aquamarine is treasured as the birthstone for March and given as a symbol of hope, youth, health and fidelity.